or you can put a turbine type fan. And direct it and the radiator towards the factory fan, which will blow all the air out. Any temp greater than 90 degrees would extremely bother me, especially when ambient room temp is higher in summer season. The funniest and even shocking thing is that MSI engineers appear to have NOT extensively tested/simulated all the occasions ranging from %80-100 continuous CPU/GPU load along with variable room temp changes. The factory tour videos simply do not match with the shipped final products. Fans have desperately limited capacity as they get annoyingly loud at the limit of 5000 rpm practically. 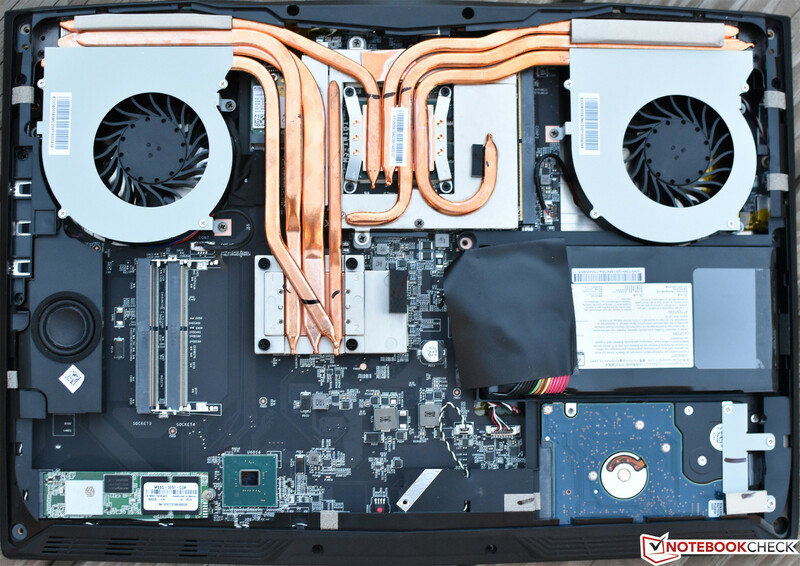 So either they should have cancelled manufacturing a gaming laptop with GTX 1080 and 8750H as is, or should have bundled a liquid cooling system or a bigger chassis to produce more convenient air flow. I just can't beleive as an average user is able to think that. You fail to realize that those temps are arbitrarily set by you, as too hot. Intel may decide and tell manufacturers that if temps are on the 100C, it will be fine, so manufacturers don't care as long as the product still runs. And then there is the advertised speeds. If your CPU can run at the advertised speeds, then manufacturers will say their product is still working. That means that your core i7 is fine if at max usage it still runs at 2.2ghz. It's within the design. So, you could say most manufacturers will run near, or at, 80-90 celsius, but all will have different speeds. Depending on their cooling design, you will have more speed at the same temp. Intel uses throttling instead of lower end products. THEN we have the issue with TDP.... limiting your performance anyways. I had this issue with intel in the 4th gen era-onwards. If you didn't have an unlocked laptop CPU, there was close to no difference in the entire core i7 lineup, when continously running at 100%. So you paid more for NOTHING. You can never reach 90C because the system will throttle down if temperature reaches that number. There are things we can do to allow the system to run cooler. MSI always performs extensive testing on their products the same way as other manufacturers do from manufacturing to testing, see below video. Companies have to be able to make profit while not undercutting product quality. Size and form factor are always the critical topics to focus on. Sure, sometimes things can go wrong unexpectedly and that's what warranty is for. Regarding to bolded text from your post, you can see many Youtube videos and online forum posts mentioning it can exceed 90 degrees easily under load. I like MSI and the factory tour view but in real world it does not match as forums have many issues with mainly overheating. Throttling is actually unwanted and annoying Intel feature to save the CPU causing stuttering and momentary performance drops, and the truth is that as long as it's activated and needed during intensive usage, it means something is really wrong with cooling. So it is actually not correcting and justifying bad cooling system. The system can max out at 90C (perhaps slightly more) then it starts to throttle down to prevent the temperature to go higher, and that's because the power flow is capped by EC. So that has nothing to do with cooling. Stress tests (eg: burn-in using Prime95) are putting maximum load on components but they are not considered real-world scenario because it's not realistic. Please note that GT series has one of the best cooling of all MSI builds. Please note that GT series has one of the best cooling of all MSI builds. But it is still worse than Eurocom Tornado f5. 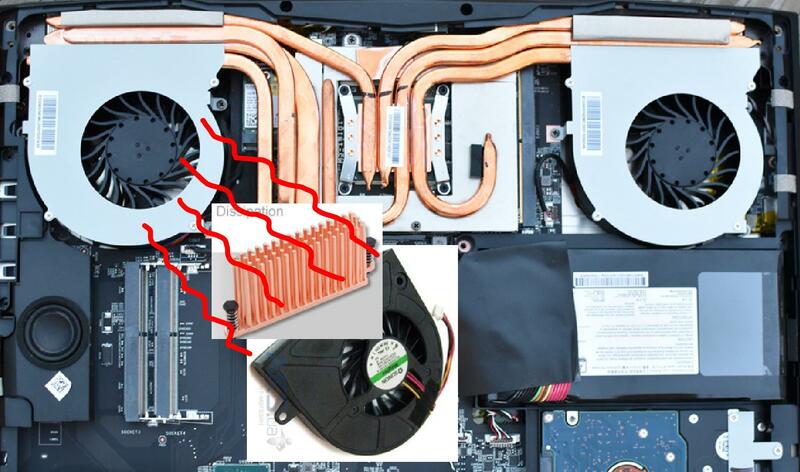 Why does Eurocom cooling system shows the best result with the same number of heat pipes ? The GT63 even has a larger number of heat pipes. And Eurocom keeps much higher frequencies of the desktop processor than GT63. Why it happens ? These 2 laptops have identical dimensions and sizes. But the fact is Eurocom took care more over the cooling system. Are you aware the Eurocom is made by MSI? It's an MSI whitebook. You are comparing also a desktop processor to a laptop processor that most likely runs at worse voltage levels, and requires more current to hold the same clock performance. A key factor into all of this discussion is TDP as well. These CPUs with a TDP of 45W easily exceed 45w when turboing and maxed. I would be interested in seeing how different the "same" CPUs from both desktop and laptop would fare at the same voltage and clocks. I also think the MSI whitebook has better mounting pressure. Its an MSI, not an Eurocom, and if you are going by reviews on sites, and not here from forum members, assume that its a stock GT63 with stock paste vs a repasted at least model, maybe undervolted as well to perform better in review to attract more sales..
Its the same chassis, and you can buy the MS 16L13 from a LOT of different places.